When filling, storing or distributing industrial paper sacks, poor handling practices can increase the risk of damage to paper sack materials or filled paper sacks. 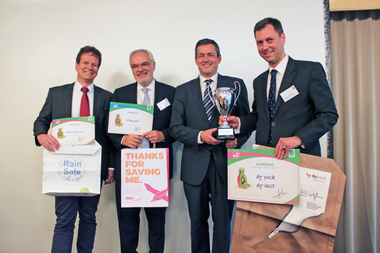 The handling recommendations for paper sacks launched by the European Sack Group – a collaboration between Cepi Eurokraft and Eurosac – provide illustrative information about risks as well as best-practice instructions. The brochures contain useful advice for fillers, distributors and retailers on how to prevent damage in their operations along the paper sack supply chain. 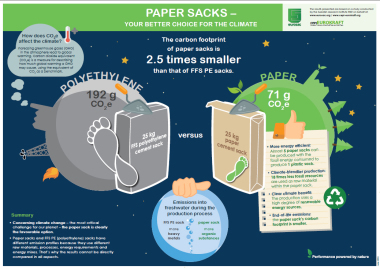 “Paper sacks are very strong and sustainable packaging solutions for powdered materials,” explains Catherine Kerninon, General Delegate of Eurosac. 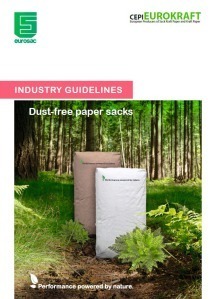 “With our handling recommendations we want to support fillers, distributors and retailers to identify aspects in their operations where they may be able to reduce or eliminate damage due to incorrect handling or palletisation practices.” She emphasises that by applying best practices they will be able to take most advantage from the multiple benefits of paper sacks. The guidelines are divided into two parts to address all players in the paper sack supply chain who handle empty and filled sacks: Part 1 includes best practice instructions for filling sites. Part 2 is directed at distributors and retailers. From the storing of paper sacks prior to filling, via handling and stacking of palletised loads, up to storage or display – both brochures inform with many vivid illustrations about possible risks during the different operational steps at the respective site. Furthermore, they explain which consequences these risks might entail and how to handle paper sacks properly. The handling recommendations are available in English, French, Italian and German for download on the websites of Eurosac and Cepi Eurokraft.